Why is China interested in the Arctic? China has not developed an Arctic strategy, domestic or international, akin to those of the Arctic Five. But it has been working bilaterally with different countries in the region, particularly Norway. It has a research base on Ny-Alesund, for instance. One of the first things that sticks out in the article is that the author (Joe Spears, a Canadian) states that the Arctic holds 25% of the world’s oil and 9% of the world’s coal. Whereas articles in the Western media often talk about the region’s promise for oil and gas, little is ever said about coal, a fossil fuel that accounts for almost 70% of China’s electricity generation. The country is the world’s largest consumer of coal. Already, we can see that China views the region differently from other nations, even if just in terms of its resources. China is not an Arctic littoral state, and it consequently has neither an EEZ nor a continental shelf in the region. It won’t be able to extract resources from the Arctic seabed because of this, so it will instead be forced to trade for Arctic resources. That puts it in a more dependent relationship with the Arctic Five and the eight Arctic states as a whole. China’s relationships with these countries will likely differ from its relationships with, for example, African countries, which provide the country with large amounts of natural resources. While China is a juggernaut in Africa, the players in the Arctic are much more developed economically and technologically, so in most scenarios would seem to hold the upper hand. One possible exception is if Russia requires outside investments to help develop its hydrocarbon and mineral resources. It has already paired with European companies like Total and StatoilHydro to develop its offshore oil and gas fields. While Chinese companies are not yet in a position where they can offer such technical advice, it is not impossible to imagine a near-distant future where China becomes a major player in the Arctic by proxy, simply by financing Russian activities in the region. From this statement, it seems that China wants to ensure that the right of innocent passage is maintained in the Arctic. It has no obvious preference for the victors of the various sovereignty disputes in the Arctic, so long as their ships are still able to pass through, whether for trade or research. So far, China’s role in Arctic exploration has been remarkable for a country without a historical connection to the region. It has had a polar research program since 1981, with scientists now working in both Antarctica and the Arctic. The Chinese have reached the South Pole and North Pole numerous times. The government has a non-nuclear icebreaker it purchased from the Ukraine in 1993, called the “Snow Dragon” (hence the title of the article), and it is planning to build an additional icebreaker as well, to the tune of $300 million. Though cheaper than the $700-900 million estimated for a new U.S. nuclear icebreakers, it still wouldn’t be easy for Congress to allocate this smaller amount of money to improve American capabilities in the Arctic. To a large extent, the Chinese government doesn’t have to report to constituents on how and why it is spending its money, whereas congressmen and senators must deal with disgruntled constituents in the Lower 48 complaining about their money going to waste in what many wrongly see to be a frozen land full of only reindeer, polar bears, and eskimos. But as we can see, it’s not an issue of financial capabilities. As the Lieutenant Governor of Alaska, Mead Treadwell, has noted, it’s a matter of allocation. Thus, Russia and China have a much easier time of spending money on programs that aren’t necessarily the most politically popular. Even in a place like Canada, where Arctic sovereignty often makes headline news, Prime Minister Stephen Harper has had a hard time of getting his desired icebreakers built. While this is an oversimplification, Russia and China can to a certain extent decide their countries’ activities in the Arctic single-handedly, whereas democracies in the rest of the Arctic nations must demand that their countries increase their northern capabilities, assets, and infrastructure, or else it might not happen. That, or more people can move en masse to Alaska and then increase the number of congressional representatives the state would be allotted by Census 2020. 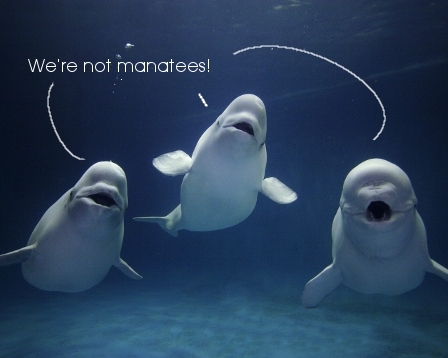 After all, with global warming, Alaska could one day be the new Florida, with beluga whales instead of manatees, so it’s not so far-fetched an idea. Undeniably, China still remains on the outside of addressing the Arctic issues, but badly wanting to get in, similar to Germany and other large economies of the European Union. I would like to point an excellent observation in that coal accounts for almost 70% of China’s electricity generation. The country is the world’s largest consumer of coal. Since the Arctic possesses 9% of the world’s coal deposits, China will remain drawn to the Arctic like a moth to a flame. China is anxious to be a player in the game that is called ‘the Arctic’, but it does not even have an Arctic strategy. Its attempt to obtain an observer seat on the Arctic Council so far proved futile. China, like other non-Arctic nations (Japan, South Korea), the EU and most Arctic Council’s member-states, wants to keep the Northwest Passage open for navigation in the future. Thus, like others, China is considered to be a detractor to Canada’s Arctic sovereignty policy. 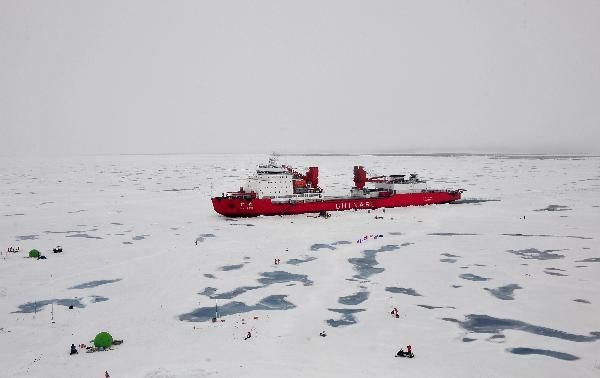 Without a historic connection to the region, China is active in exploring the South and North Poles, it possesses an ice-breaker and has ambitions to construct a few more. For a non-Arctic state, it is rather impressive! It is certain that China will increase cooperation with Russia in the future and will continue to lobby for an observer seat on the Arctic Council to keep itself in the loop. As China’s involvement in the Arctic is only to aggrandize, this Snow Dragon will definitely be a force to be reckoned with at the top of the world.